Welcome to InSight, the learning and education section of the Tandem website. You can login HERE with your password. * You will be able to view and download over 30 InSight factsheets as well as watch educational videos. 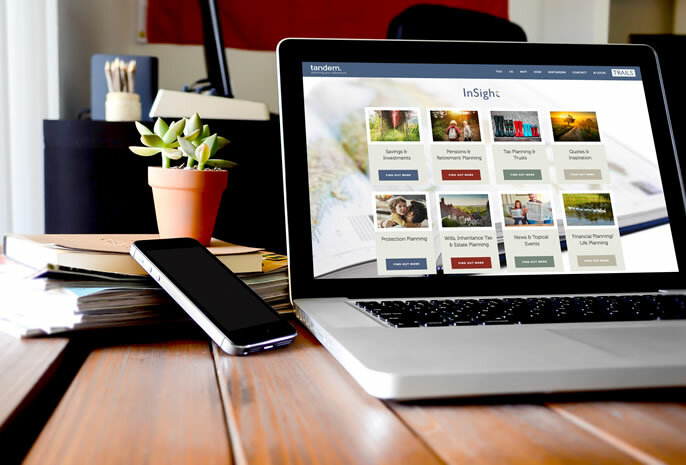 InSight is split into 8 sections on different financial topics. The idea is to educate, stimulate and inspire. We want to keep it simple, so the factsheets are a brief overview of the subject topic; something you can read quickly and if of interest, you can get in touch with a member of the team at Tandem Financial and we can assist further. In such a fast-paced world, we felt that long, techy articles full of jargon would not be appreciated! Every month we will add 3-5 additional factsheets as well as videos, case studies and useful documents so watch this space. *If you are unsure or have forgotten your password, please call or email us.